Learn-To-Weld is the training and qualification division of Weldability Sif, delivering a suite of practitioner and professional vocational courses in welding. 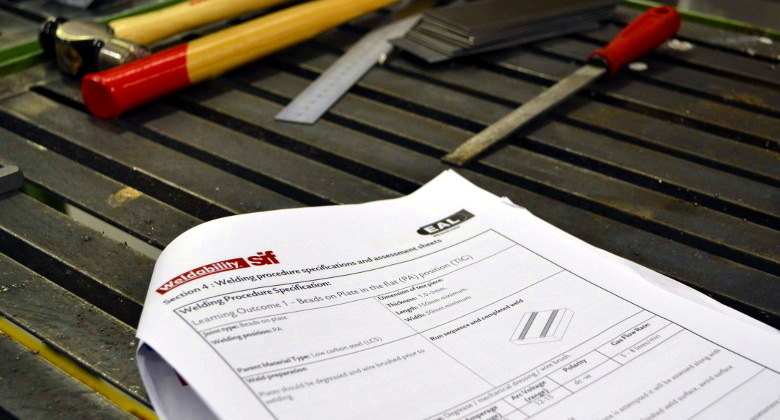 As an EAL-approved centre, the courses on offer range from Level 1 process introductions (in MIG, TIG, Stick, Oxy/Fuel, Brazing and Cutting), to Level 4 Responsible Welding Coordinator (ISO 3834). Programmes are delivered flexibly - to assist with time management for busy learners and employers - as well as through a Sector-Based Work Academy model. Learn-To-Weld assists eligible learners with finding sources of funding for their training, and uses the latest digital training tools to increase achievement and improve learner-engagement. • Level 1 Award in MIG, TIG, Stick, Oxy/Fuel, Brazing or Cutting. • Level 2 VRQ in MIG, TIG, Stick, Oxy/Fuel, Brazing or Cutting. • Level 2 BCGA CP7 Compressed Gas Equipment Inspector VRQ. • Level 3 Welding Coordinator Certificate. • Level 4 Responsible Welding Coordinator Certificate. Start your journey with Learn-To-Weld today, to train flexibly and successfully from our skilled, time-served tuition team.